Drug and alcohol abuse can be crippling to both the sufferer and the ones that love him. Finding a quality detox center is the first step in getting your loved one the help he needs. 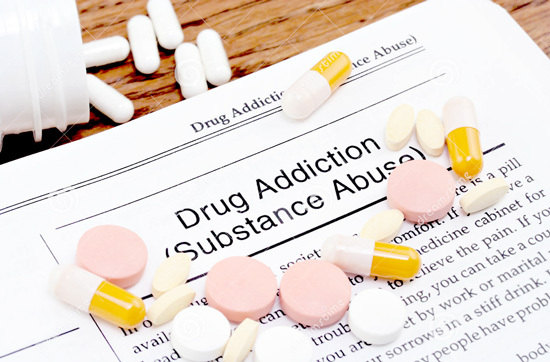 Substance abuse issues may wreak havoc on the person's life, destroying his finances, personal relationships and career. Fortunately there are resources that will help him to get clean and remain clean for life. Drug treatment centers are equipped with the right tools to help you or your loved one kick the habit for good. Some people will say that they can stop at any time, when in reality, they cannot. They are absolutely dependent on the drug and need more and more to enjoy the same high that they did in the beginning. The drug has taken over and dictates when they sleep, eat and how they function. Drugs, alcohol and other substances are not cheap. A person with a substance abuse problem will often have financial issues due to his need to secure drugs on a regular basis. They may suffer from evictions, utility shut offs or car repossession. The financial problems can cause a ripple affect, destroying his career and making it harder to quit the habit. Drug and alcohol dependency may change a person's mood, behavior or personality. Some people report that their loved ones become a different person when they are drinking or high on drugs. They may become abusive or moody and withdrawn. This can put a real strain on relationships with family, friends and intimate partners. Many people who are addicted to substances find themselves getting divorced due to their dependency. In many cases, a person who is suffering from a substance abuse problem with have both minor and major run-ins with the law. He may steal to feed his drug habit, landing him in lock-up time and again. He may get into traffic accidents or be arrested for driving while under the influence of drugs. If the drugs are behavior modifying, he may be arrested for starting fights or getting into other altercations. These run-ins with the law can have serious complications. An overwhelming number of homeless people are reported to have substance abuse problems that were are a direct cause of their homelessness. In many cases, the person suffering from addiction will not realize that he needs help. In this case, it is up to the family and friends of the sufferer to step in and find help on his behalf. There are many resources available for people looking for substance abuse help. Understand, however, that the sufferer may not willingly get help. They may feel that their substance abuse is not a problem and resent you for forcing them to get help. This is normal, and you may have to try multiple times in order to get results. There are several types of treatment facilities available that will help your loved one get clean. Hospital based facilities often offer outpatient services that include managing withdrawal symptoms and prescribing medications to help to kick the habit. Other smaller clinics may offer the same services at reduced rates for people without adequate insurance coverage. Detox Local centers are specifically created to help the sufferer get through the withdrawal process with ease. These centers provide expert help and will give your loved one the support he needs to make it through the process. During detox, the treatment facility will conduct a full medical exam to make sure there are no underlying health conditions that are affecting your loved one's ability to stay sober and clean. He will then be assigned to a team of specialists---medical professionals, counselors and therapists--who will work together to find the best long term plan for recovery. Finally, the detox process will begin. The practitioners will start to rid the sufferers body of the drug, helping to minimize the effects of withdrawal. When it comes to helping a loved one with a substance abuse problem, the key is to act quickly to make sure they get the treatment they need. Find the right detox center today.